Southern California always has been a bit of an island on the U.S. racing map. And although it can be a very difficult circuit for out-of-state shippers to win at (keep that in mind later this year for the Breeders' Cup), new arrivals trained by the home team can be quite dangerous. Last Friday and Saturday at Del Mar, three transplanted horses won first-out for their new SoCal trainers, at very nice prices. In Friday's third race, a three-year-old Orientate filly named Blushing Martha with a career record of 10-1-2-5 for trainer Eric Reed, rediscovered her winning ways for Doug O'Neill, paying $11. Blushing Martha was taking a class drop from optional claimers non-winners of one at Belmont into a $30,000 claimer at Del Mar. In Friday's fifth race, trainer John Sadler struck with Turf Paradise transplant Arabian Storm. The five-year-old Stormy Atlantic gelding had three wins in cheap conditioned claiming company in Arizona. Sadler put Arabian Storm in $8,000 open claiming at Del Mar, and he won by 2 1/4 lengths and paid $24.20! In Saturday's fifth race, a $40,000 claiming race restricted to three-year-olds, the new Michael Machowsky trainee Shadow Runner was sent off at 9-1 based on his previous form at Calder. Shadow Runner had a 14-2-2-2 record and earnings of $31,548. His victories came at maiden claiming $25,000 and in a $16,000 claiming race restricted to horses with one career win. In his Southern Cal debut, Shadow Runner broke last of 10 under Garrett Gomez but came with an electrifying move between horses to win by a half length. He paid $20. Blushing Martha and Arabian Storm were claimed. Shadow Runner, who ran his final quarter on the turf in a quick 22-4 and stopped the timer for one mile in 1:34.28, remained in the Machowsky barn. I will look to bet him back on the class rise next out. So give an extra look to any out-of-state horses put under the care of these Southern California trainers. 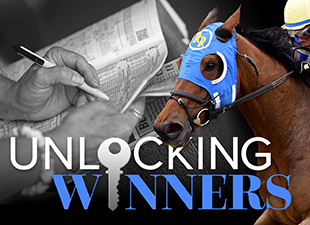 As shown by three winners in two days, a fresh horse put into one of their programs can be a lucrative angle.